MacGregor, part of Cargotec, has signed contracts for four subsea cranes with subsidiaries of a Malaysian shipbuilding, shiprepair and chartering group, Coastal Contracts Bhd. MacGregor 100-tonne SWL active heave-compensated (AHC) subsea cranes will be installed on four subsea support vessels (SSV) under construction at the shipyard. Delivery of the cranes is scheduled from June to December 2015. "This latest contract builds on several similar orders from the Coastal Group," says Tom Svennevig, Vice President, Advanced Load Handling. "It demonstrates the confidence that the company has in our technology and the high degree of reliability and performance delivered by our subsea cranes." Two units of 85m newbuild SSVs, currently under construction within the Coastal Group, will shortly be delivered. 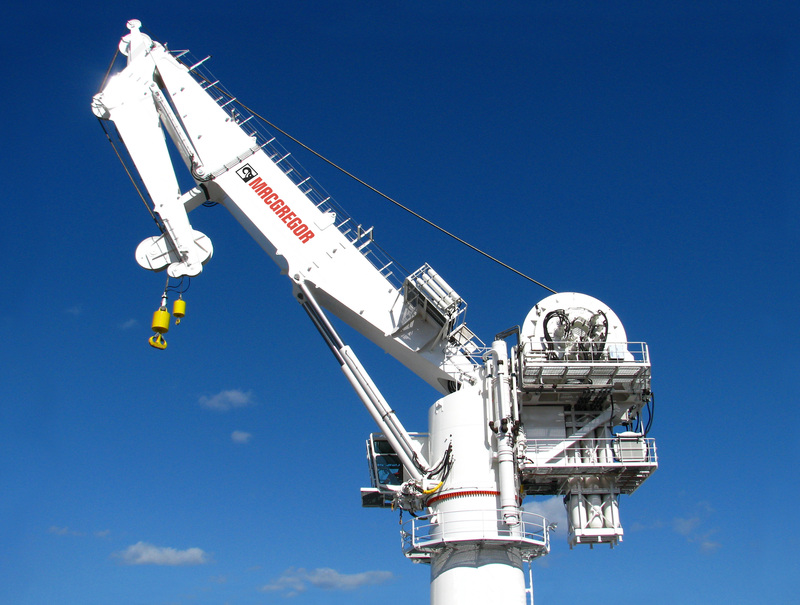 They also each feature a100-tonne SWL AHC offshore crane from MacGregor.